Summer Drop-in Recreation Camp returns! 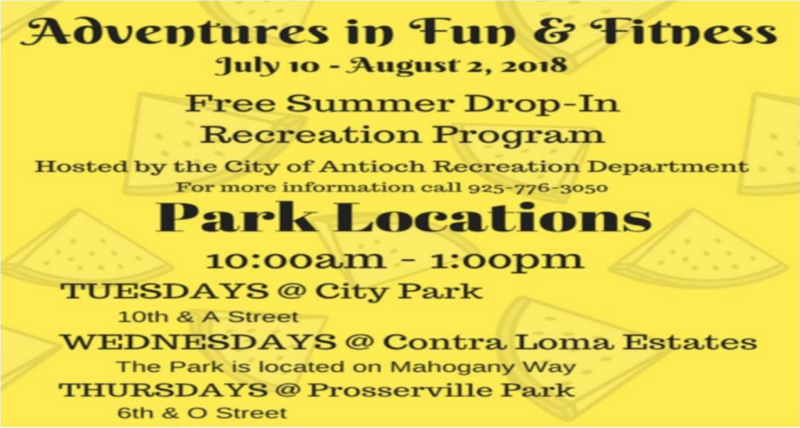 During July Recreation Leaders will be at 3 park locations to give school-age kids a summer camp experience. 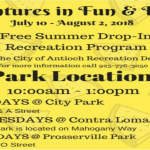 This free summer camp can be found at City Park, Contra Loma Estates Park and Prosserville Park. Let our staff keep your kids engaged this summer!! W 6th St. O St.